Preface: This is my first article for Crossing Zebras. I was approached, in part, to provide CZ with the unique perspective of a mercenary in EVE. It’s pure coincidence that the day I was hired was the day a major announcement in the mercenary community occurred. Last week, Body Count Inc. [BDCI] announced they would be leaving Pandemic Legion [PL]. BDCI has been a member of PL since April 2011 and are leaving the alliance on friendly terms. The good-bye post from Elise Randolph on the Pandemic Legion internal forums was copied to Mercenary Coalition’s and is quoted below. – Four and a half yеаrs ago the crazy Finlander did something unimaginable – he recruited a corp into PL whose only shared history was fighting against us. It was a landmark decision that changed the way PL acted; BDCI was the first to prove that, not only could it work, it could be successful too. The overwhelming success paved the way for the modern Legion and has really shaped a lot of our decision making. They brought PL one of the most prolific campaign commanders we’ve seen, a CSM Chair that Grath is adamant was an order of magnitude better than me, as well as a bevy of facilitators that made life in The Legion that much better. It is incredibly difficult for a corp to stay active in Eve Оnline without bringing in new blood. BDCI is more сlоse-knit than the typical PL corp and thеy’ve been hit the hаrdeѕt with this bug. To avoid fizzling out, BDCI have deсided tо move on a new path – a path of rediscovery to breathe that sense of joy and wonder that all got us hooked to Eve in the first place. While I am sad to see them go‚ I wish thеm the best of luck in the future аnd look forward to working together. Juѕt from a logistiсs perspective until yоu guys are sorted and stuff we’ll be mutually blue‚ so no panic for anyonе who cаn’t log in. Thank you BDCI for everything you have done for PL. May our pathѕ сrоss sometime soon. Seleene, the CEO of Body Count Inc. will be taking the corporation back to the alliance they helped form in 2004: Mercenary Coalition. Mercenary Coalition [MC] made its name by crafting cutting-edge fleet doctrines, prolific super capital usage and its involvement with Band of Brothers. Founded in 2004 by Body Count Inc., and Sharks with Fricken Laser Beams [FRICK], the alliance is still remembered fondly by many today, despite the fact that many consider it a relic of the past. MC’s doors have been shuttered for years. It was revitalized in January 2015 and has spent the better part of a year rebuilding, having completed over 25 contracts up to this point. 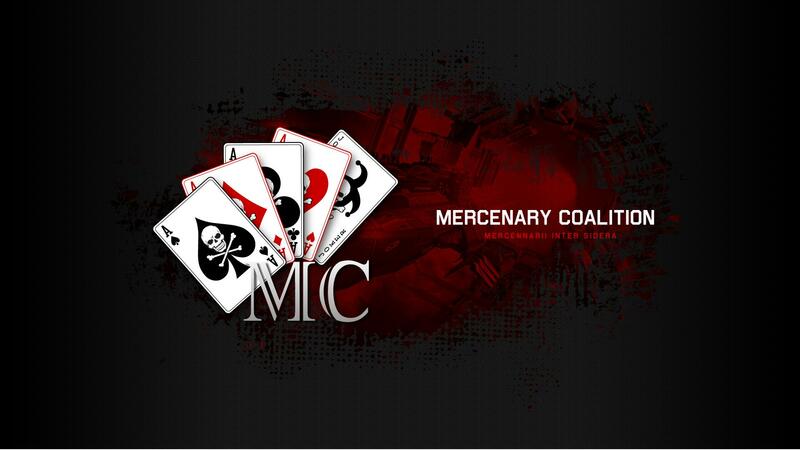 With the addition of Body Count Inc., Mercenary Coalition will number approximately 450 characters, including many original members and leaders who were a part of its beginning. Having been a mercenary for practically my entire EVE career, I can understand BDCI’s desire to return to the “simpler” life. As a member of Mercenary Coalition there are few political ties that you have to keep in mind when interacting with your overview, deployments are more frequent and less of a logistical nightmare, and you’ll probably know the names of each person you fly with. Like Pandemic Legion, Mercenary Coalition has a reputation, but it’s an old one. It’s only now beginning to rebuild its brand, which is a long, slow process. In comparison, Pandemic Legion is a force to be reckoned with now. For all intents and purposes, Pandemic Legion is at the top of the food chain when it comes to PvP in EVE. BDCI removed themselves from that perch to rejoin the home close to their hearts. This isn’t only a sentimental move, it’s meant to reinvigorate and challenge. While BDCI had been a long time member of Pandemic Legion, participation in day-to-day fleet ops had taken a severe downturn in the past year. While PL provides a nearly endless fountain of PvP content, as time went on, members of BDCI began to express their desire for more goal-oriented gameplay. Additionally, there is perhaps something lost when you’re confident in your ability to field another dozen super capitals if the need arises. Moving to a smaller alliance that shares the same ideals, culture and desires but without the nearly endless resources is a tantalizing option for a group that wants to be challenged when they login. There are a lot of people willing to pay mercenaries, even now, if they can find someone willing to take the job. Adding Body Count Inc.’s experience and assets to Mercenary Coalition’s may open up new doors and could position the alliance at the crest of what could become a very lucrative career. Of course, a mercenary relies on wars to stay fat and happy. A large mercenary alliance, which MC is shaping into, will require more than just the occasional tower or POCO bash to keep its members from, once again, feeling bored. Mercenaries don’t live in an ideal climate at the present, and the challenges BDCI seeks may be difficult to find. Regardless of how rich being a mercenary may make Body Count Inc. it seems that BDCI as a whole have expressed a great deal of excitement and hope in returning as prodigal fathers of Mercenary Coalition. I spoke with Seleene, a former CCP developer, CSM Chairman and soon-to-be alliance member of mine to gain more insight into the early days of Mercenary Coalition, the thought process for leaving one of the most revered PvP alliances and the challenges of being a modern mercenary. You’re returning to your roots by re-joining Mercenary Coalition. What sort of challenges do you expect to face with MC that you didn’t have to worry about as a member of Pandemic Legion? – I think the obvious answer to this is the same among many sub-500 man alliances. Using our capital and supercapital fleet (BDCI alone has more supers than many alliances) will be more problematic but certainly not impossible. We won’t be able to accidentally get into brawls with 300 people and pick up a bat phone to balance the odds. As such we have to plan ahead all of our contracts to a far greater extent. Those are just two issues but it’s an interesting question in that most people look at challenges as a negative whereas myself and the other members of MC see these situations as enjoyable puzzles to solve. In the past ten months the re-born MC has continued to grow in both power and membership, so I’m sure many of these problems will solve themselves. The greatest part, is the number of ‘newer’ EVE players that have joined, showing that there is still a hunger out there to get involved in something that demands something more than Orbit + ‘F1’. What was the general response from Body Count Inc.’s membership when the decision to leave Pandemic Legion was announced? – Probably similar to my own: Shock that this was a real possibility, realization that it could actually work and enthusiasm for making the largest change my corp has seen in five years. It’s been a long mental process to get to this point; the decision certainly wasn’t made overnight so we are going into this fully aware of the potential risks and rewards. While a few members have close friendships with people in PL, it was fantastic to see so many people willing to accept a new challenge. What was the thought process behind joining Mercenary Coalition at this time? – It was time for a change. Pandemic Legion is an amazing alliance, filled with great people, but it has its own unique ‘culture’, which can at times be, how can i say – ruthless!? 🙂 Primarily and most importantly though, I have a twelve year old corp filled with veteran players who have seen and done pretty much everything an EVE player could want. We just spent nearly five years in EVE’s premiere PVP alliance, (usually) doing more winning than welping. When you are near the top of the EVE food chain, it becomes easy to coast along; to lose your hunger. This was happening to my corp and our health suffered as a result. You can tell this starts to begin when people “log in” purely for ‘pings’ or broadcasts and never spend time doing stuff together (roaming, logistics or just chatting on comms). So, basically, it’s all about what makes us happy as players. I know my people and I’ve always seen them the most alive and motivated when they had a mountain to climb, a goal to achieve. Coasting along was slowly killing us; in MC we will definitely be challenged again and have an opportunity to build something lethal and amazing. What are your thoughts on the current mercenary landscape in EVE, especially compared to Mercenary Coalition’s heyday? – It’s pretty barren, and basic. It essentially consists of small groups that accept the occasional contract along with alliances that specialise in just perma war-deccing everything in highsec (and then mostly sit outside Jita or camp Uedama). It’s frustrating because there is such a potential market and opportunities for people in EVE, to pay for all sorts of services. As such we feel there is a real opportunity to provide a whole range of services, be it in empire for a simple POS kill, or supporting a 0.0 alliance for whatever they need for many months. Personally, with Noir. (one of the last and oldest “professional” merc corps left) and NEHE, with their extensive knowledge of wormhole space, I’m very confident in that we can continue to grow and adapt to whatever any client can throw at us! Do you have any major goals you’re planning to accomplish with Mercenary Coalition? 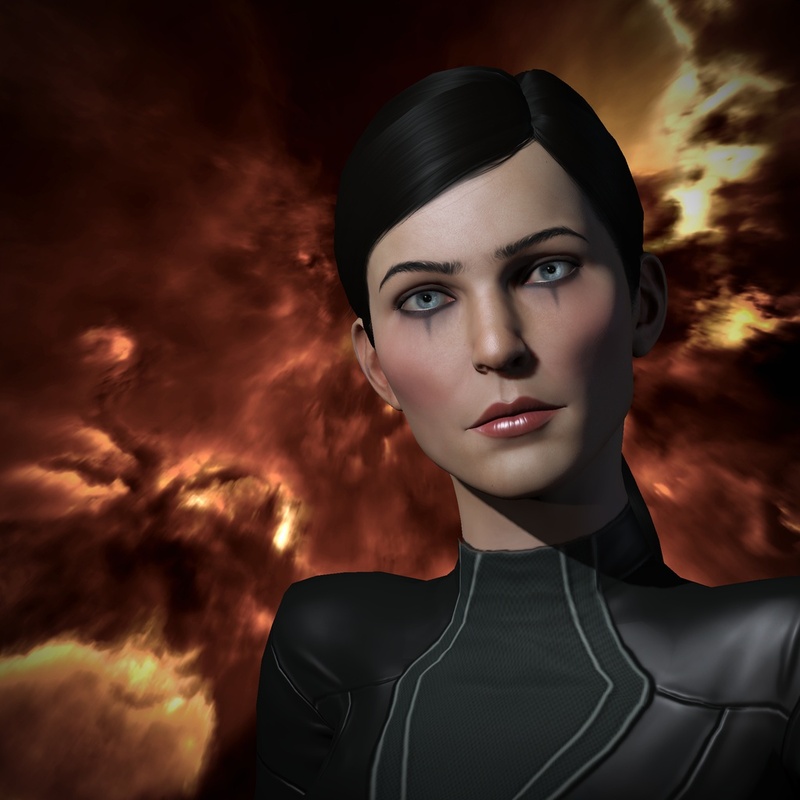 – The primary goal of the MC is to remind EVE Online that the mercenary profession is alive and well, if done properly. Honor your contracts, treat both your clients and your targets with respect and remember it’s just business. From an operational standpoint, I don’t see MC ever growing into a multi-thousand person alliance, but over time it will certainly become powerful enough to re-establish itself as the go-to choice to solve problems, large or small. ‘The tip of the spear’, so to speak. It will be the MC’s job to provide the extra punch that shatters a targeted fleet, or to provide the 50 hictors and dictors that allows our client to win a capital engagement with ease or to be the ghosts in local chat who can shut down a region of industrial activity. The coming Citadel expansion is something the MC is looking forward to as it promises to bring in an ocean of content in the form of new things people will pay us to protect or destroy. The mercenary landscape is, as Seleene said, fairly barren at present. I’ve written and talked extensively on the subject last year and while the series is in need of an update, the fact remains that life isn’t as glorious for mercenaries as it once was. It’s quite possible that things may change for the better with future updates to EVE, but it can’t be denied that, at present, there are not many people who are willing to get into the mercenary game. The friendships built in EVE have been talked about, tweeted about, and even sung about. For BDCI, it seems to be the most important type of ship, too.